Five years removed from the release of Spirit Tracks, Nintendo has shifted gears on the handheld front with re-releases of Ocarina of Time and Majora’s Mask. With A Link Between Worlds being a drastically different title from the original Nintendo DS games, it begs the question of whether touch-based Zelda gaming is now a thing of the past. This week the Zelda Dungeon staff looks back at the touch based gameplay mechanics from the Nintendo DS era. Question: Looking back at Phantom Hourglass and Spirit Tracks, did you enjoy the touch-based stylus control, or would you have preferred traditional controls? My problem with Phantom Hourglass and Spirit Tracks was that, from the stylus mechanics to features like blowing into the DS microphone, it was apparent that the game’s mechanics were designed in the interest of showcasing the system’s capabilities. We saw the same thing in the case of Skyward Sword, with the difference being that the motion control of the Wii lent itself naturally to sword-fighting, whereas no such natural corollary existed with the stylus of the DS. So while game design centered on the unique features of a system isn’t inherently problematic, I think Phantom Hourglass and Spirit Tracks are examples of how it can lead to an unintuitive gaming experience, which can disrupt the overall narrative of the game. I think the touch-based stylus controls were unique and I like that Nintendo chose a different approach, though it was a bit gimmicky as Nintendo tried hard to showcase the console’s features. While I prefer traditional controls for top-down Zelda games, for these two games, it works. There were fun aspects limited to stylus-based mechanics, but not enough to make me consider it superior to traditional controls. I started Spirit Tracks last year on my 8 year-old’s DS and the tap and drag controls drove me crazy. I never finished the game specifically because I disliked the control system. For some reason, it felt like I was playing a children’s game, like a Leap Frog game, and not a proper Zelda title. It’s not inherently bad, and I am sure others enjoyed it, but I am definitely not a fan. I hated the entire gimmick of touch screen controls. Notably the tapping the screen with the Stylus to attack an enemy. I thought it was not as responsive as originally intended and only led me to repeatedly tap my screen far too quickly than the game was even capable of registering. Plus it led to using the same device and the same action to both move and attack. I appreciated having different buttons in previous games designated to these. Personally I enjoyed the touch controls utilised in Phantom Hourglass and Spirit Tracks, they were very refreshing and easy to learn/handle. Not that traditional controls are hard to learn, the touch controls just made everything feel in reach, and it was nice that for the new puzzles that required a touch screen, you didn’t have to configure your hand set up and pull out a pen. All in all, it cut down some time and as a result, offered a more refreshing experience. Given the choice, I feel like I would have preferred more traditional controls that handled more like A Link to the Past. The controls for me felt awkward on the DS, and using the stylus combined with the touch screen just didn’t click for me. It would have been more fun for me if I could just use the second screen for a map and making notes and solving puzzles, without having to use the touch screen to directly control Link. Using the touch screen made me feel less in control of my actions and added frustration to the gameplay. I truly enjoyed Phantom Hourglass when it came out, but felt that Spirit Tracks didn’t progress the gameplay enough. I thought the Boomerang and Bombchu were great items that introduced new puzzle solving mechanics. 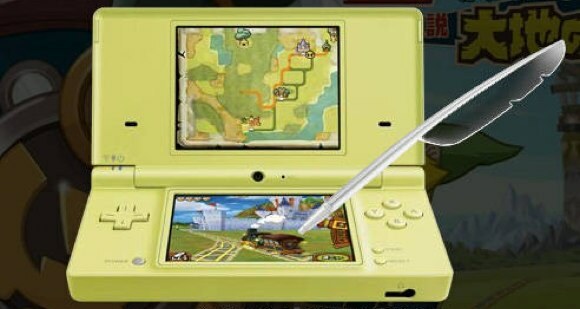 I wish they would have gone further with unique items and puzzles, but I do like that Nintendo chose to experiment with stylus controls. I’d love to see another stylus-based game sometime in the future. Let’s now hear from you. Do you agree with any of the staff members’ opinions? Looking back at Phantom Hourglass and Spirit Tracks, did you enjoy the touch-based stylus control, or would you have preferred traditional controls?